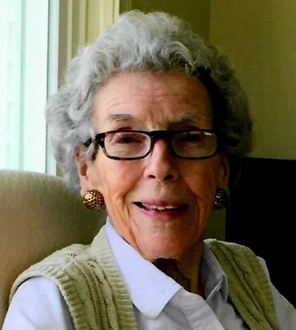 Cornelia (Nina) F. Hugel, 89, of Wolfeboro, passed away peacefully on March 24 at her apartment in the Sugar Hill Retirement Community after several years of declining health. Born on June 24, 1929, in New York City, she was the daughter of the late Nils and Mary (Hines) Fischer. She grew up in Plainfield, NJ and was a graduate of Smith College in Northampton, MA. Nina was predeceased by her husband of 63 years, Charles E. Hugel, in 2016. Nina was at-home support to her husband in his fabulous business career, and she was initially responsible for smoothing out many of his rough edges which helped in his success. During their married life, they lived in New Jersey, Massachusetts, Ohio and Connecticut before moving to the Bald Peak Colony Club in Moultonborough, New Hampshire for their retirement during which time they wintered in Gulf Stream, Florida. Nina enjoyed bridge, golf, tennis, gardening and NY Times Crossword puzzles. Family members include two children, Jeff Hugel and his wife, Susan, of Moultonborough and Chris Hugel of Lemoyne, Pennsylvania; two grandchildren, Lauren Snyder and her husband, Matt, of Norfolk, Virginia, and Stephanie Hugel of Napoleon, Ohio; a great-grandson, Colton Hugel. There are no services planned, but there will be a Celebration of Life at Bald Peak Colony Club in June.